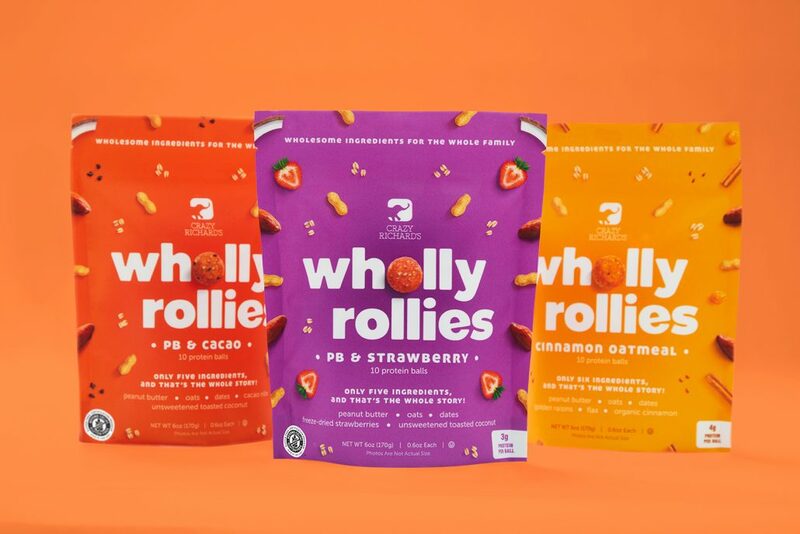 Crazy Richard’s is excited to open a new category in the frozen section with the launch of Wholly Rollies – all natural frozen protein balls! This is a first of it’s kind frozen snack line that is ready-to-eat, gluten free and plant-based. As consumers continue gravitating toward snacking, the National Peanut Board is excited to be part of bringing this new product to the freezer case. As a delicious, nutritious and portable snack, Wholly Rollies embody everything consumers are looking for. Come visit us at the Specialty Food Association’s Winter Fancy Food Show in San Francisco – we will be debuting Wholly Rollies for the first time in conjunction with the National Peanut Board at booth #362 in the South Hall. We’re on a mission to make healthy snacking simple. That’s why we created Wholly Rollies. Just a few wholesome ingredients for that homemade goodness—without the messy kitchen. Enjoyed frozen or thawed, these easy to serve snacks keep you and your kids on the move.